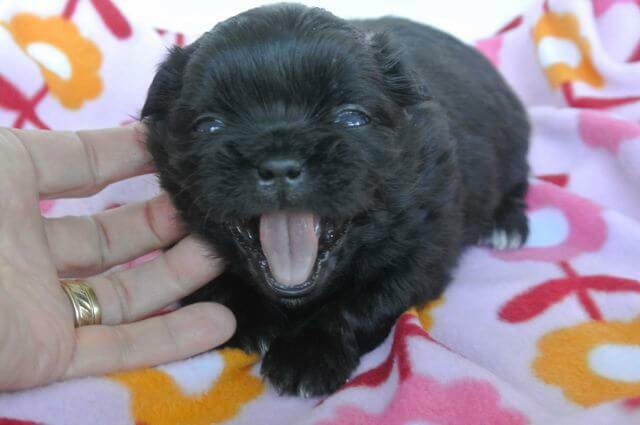 Do you feel the world is shouting, "SOCIALIZE YOUR PUPPY" to you or suffer the consequences? So much information is available about puppy socialization in the 21st century that most people take it for granted that they know what to do when they get a puppy. 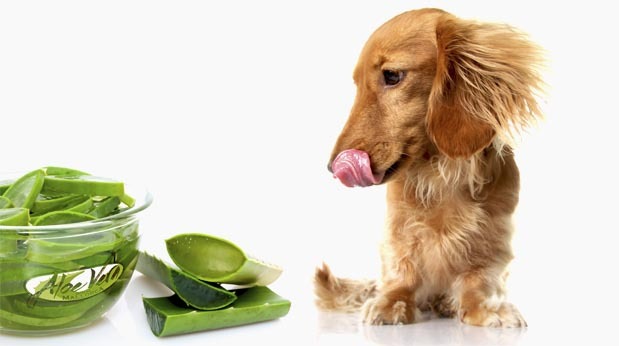 But for those that are just starting out with a new canine friend, there is quite a bit of pressure to make sure the puppy is exposed to as many stimuli –different people, animals, places and things all before the puppy turns 12 weeks of age. Whether you consider it to be pressure, a challenge to accomplish, or an unattainable tall order, you are not alone. In the U.S. alone, there are an estimated 77.8 million pet dogs that live in 54.4 million households, and each of these owners was faced with the same dilemma. Animal behaviorists provide detailed lists of what you should do with the puppy to assure that his critical socialization period is effective. Some well-meaning people will go over the top to assure their dog is well socialized. They find every dog-friendly walking path in town and try them all out. They visit the local dog park. They know about a dog-friendly event and plan to attend for the day. They visit farmers’ markets, craft fairs, local events, and everything that is likely to be populated with huge numbers of people and animals. 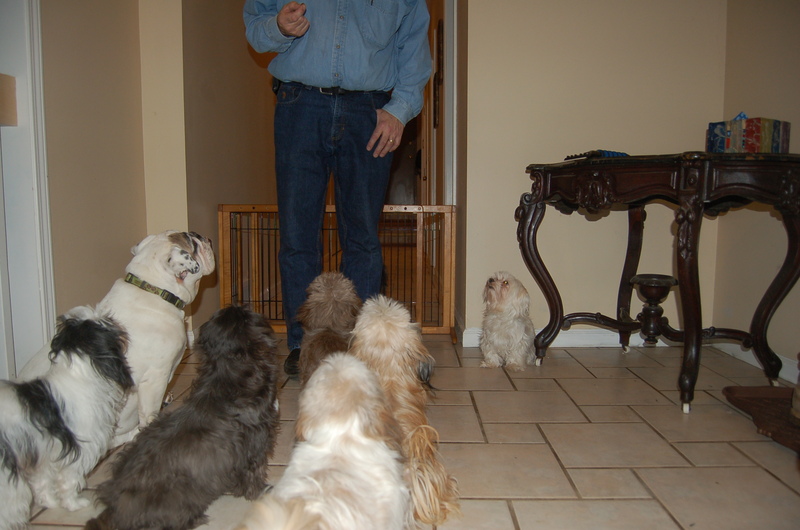 These people have heard that they should visit groomers, vet hospitals, pets store, boarding kennels, and anywhere else they know other dogs will be. 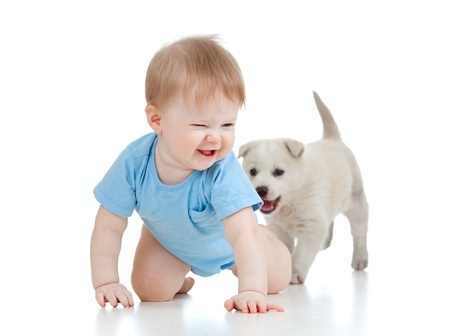 They hope that any person or dog will interact with their puppy, and if that doesn’t happen, then it is off to sign up for puppy kindergarten classes. These people are so adamant about socializing their dog that they tend to be outspoken to friends and family. On the other side, some people feel guilty because they haven’t participated in all of these events. They argue that the puppy’s addition to the family is placing new demands on them and adding to their workload. They may feel as though they should be doing all of these things, but where will they find the time. 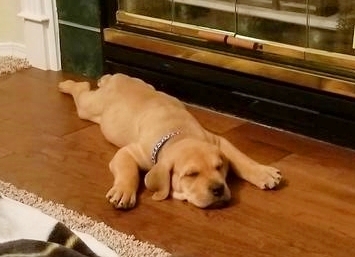 For the majority of people getting a puppy, just the thought of bringing home a new puppy, accustoming it to sleeping through the night, potty training, teaching manners and basic commands is time-consuming in and of itself. Let us not forget that puppies like to eat three times a day and need to go out every few hours; new owners may feel a little overwhelmed. Everyone has their own ideas about how to raise a puppy, so as you are trying to accomplish all of this, your partner or children or well-meaning friends many have other ideas and aren’t afraid to let you know all the things you are doing wrong. Your best-laid plans for being the perfect canine parent get compromised at every step of the way. Maybe you think that it might have just been easier to have a human baby instead of a dog? Is there any practical way to accomplish all of this without losing your mind or harming your dog? Socializing your puppy is a very personal thing. Each puppy, each breed is unique, and a one size fits all plan is impractical and potentially dangerous to your dog. Take the dog that is naturally reserved around strangers for example. Put that dog in a crowded outdoor flea market where every child wants to pet him, every dog wants to sniff him, there are new smells everywhere, loud talking, babies crying, loud music playing, well you get the picture. Putting that dog in such a situation without any warning is not going to socialize him-– it is going to terrorize him. What will he do? He’s likely to withdraw and try to hide or lash back aggressively. At this point, you haven’t accomplished anything except make the matter worse. Even puppies that are naturally friendly around strangers can get overwhelmed by this situation or many of the others listed earlier. 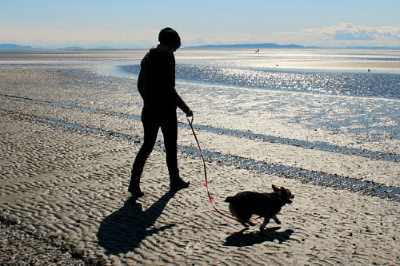 Those that consider dog parks, busy metro parks, or crowded pet stores as a good place to socialize is going under the impression that more is better. That couldn’t be farther from the truth. The better way to socialize is to work slowly towards events such as these. Start with basics and then move on, baby step by baby step. Pat Hastings, the AKC judge and author of Another Piece of the Puzzle: Puppy Development, included Pat Schaap Rule of 7’s. Been on 7 different surfaces, such as carpet, concrete, wood, vinyl, grass, dirt, gravel, wood chips, newspaper, etc. Played with 7 different types of objects, such as big balls, small balls, soft fabric toys, fuzzy balls, squeaky toys, metal items, wooden items, paper/cardboard items, milk/soda jugs, etc. Been in 7 different locations, including front yard, backyard, basement, kitchen, car, garage, laundry room, bathroom, crate, kennel, etc. Been exposed to 7 challenges, such as: climbed a box, climbed off a box, gone through a tunnel, climbed up steps, climbed down steps, climbed over obstacles, played hide and seek, gone in and out of a doorway with a step, etc. Eaten from 7 different containers: metal, plastic, cardboard, paper, china, pie plate, frying pan, etc. Eaten in 7 different locations: crate, yard, kitchen, basement, laundry room, bedroom, x-pen, etc. Met and played with 7 new people, including children and the elderly. Pat’s recommendations were aimed at breeders working with their puppies before sending them to their forever homes. It is vital for breeders to provide these experiences because these dogs are likely to adjust faster to their new environments. Since most people, however, do not get a puppy younger than 8 weeks of age, it is important to provide guidelines for new owners wishing to socialize their puppy. In 2002, Margaret Hughes from Positive Paws Dog Training, adapted Pat Schaap’s Rule of 7’s to expand it to 12 weeks of age. She recommended that by 12-weeks old, puppies should have had these 12 experiences by the time the puppy is 12 weeks old. Experienced 12 different surfaces such as wood, wood chips, carpet, tile, cement, linoleum, grass, wet grass, dirt, mud, puddles, deep pea gravel, grates, uneven surfaces, on a table, or on a chair. Played with 12 different objects such as fuzzy toys, big & small balls, hard toys, funny sounding toys, wooden items, paper or cardboard items, milk jugs, metal items, car keys. Heard 12 different noises (ALWAYS keep positive and watch puppy’s comfort level – we don’t want the puppy scared): garage door opening, doorbell, children playing, babies screaming, big trucks, Harley motorcycles, skateboards, washing machine, shopping carts rolling, power boat, clapping, loud singing, pan dropping, horses neighing, vacuums, lawnmowers, birthday party. Seen 12 fast moving objects (don’t allow chasing): skateboards, roller-skates, bicycles, motorcycles, cars, people running, cats running, scooters, vacuums, children running, children playing soccer, squirrels, cats, horses running, cows running. Been handled by owner 12 times a week and only as much as puppy is comfortable with): hold underarm (like a football), hold to chest, on floor near owner, in-between owner’s legs, hold head, look in ears, mouth, in-between toes, take temperature (ask veterinarian), hold like a baby, trim toenails, hold in lap. Note: get the puppy’s cooperation here whenever possible and treat a lot. Add predictability by saying what you are about to do (for example “Ears” – touch ear – treat). If the puppy moves away, you’re pushing too quickly. Back it up and work at the puppy’s pace. Eaten from 12 different shaped containers: wobbly bowl, metal, cardboard box, paper, coffee cup, china, pie plate, plastic, frying pan, Kong, Treatball, Buster cube, spoon fed, paper bag. Eaten in 12 different locations: backyard, front yard, crate, kitchen, basement, laundry room, bathroom, friend’s house, car, schoolyard, bathtub, up high (on the work bench), under an umbrella. Been alone safely, away from family and other animals (5-45 minutes) 12 times a week. Experienced a leash and harness 12 different times in 12 different locations. She goes on to say that if the puppy is already 12 weeks old, they should start immediately to accomplish all of this. In order to train your puppy you need to teach the puppy to focus on you or pay attention to you. Likewise, you need to train yourself to focus on the puppy. This means learning to read the puppy's emotions and body language so you can gauge what she can comfortably manage. When socializing your puppy you want to provide new experiences for her, but you don't want to overwhelm her with undue stress. As you provide something new, stop and observe the puppy's expressions. If she is happy, excited and focused on the experience, that is a good indication that you are doing something right. On the other hand, if she is showing any signs of stress, stop and resume another day. These small steps can build your puppy’s confidence so that when they do venture out, there are not so many new things to absorb. But they must be done positively so the puppy associates a new experience as something pleasant rather than something to fear. Take for example a man in a strange hat. He meets and gives a puppy a treat, the puppy’s brain will register the connection positively. This puppy will not have a problem meeting men in strange hats. If that man in a strange hat yells at the puppy, the puppy is going to connect men in hats as being something to fear. Do provide baby step socialization tips using Hughes’ recommendations. Do make each new adventure, whether it is just walking through mud puddles positive through the use of treats, your praise or enthusiasm. Do act happy, positive, enthusiastic so your puppy will too. Do make walking on a leash an exciting adventure by letting the puppy take the time to explore and sniff. Do expose the puppy to different things slowly and at a safe distance. For example, when out and about, visit your local gas station, not a huge truck stop. Let the dog learn about car sounds before truck sounds. Let the dog watch through the car window before venturing out. Do walk your puppy in your neighborhood or on a quiet path with few other people or dogs at first when you begin to socialize your puppy. Do visit a well-behaved older dog that is fully vaccinated. Don’t visit dog parks initially as a way to socialize your puppy. Don’t attend street fairs, craft fairs, neighborhood events or anywhere there will be crowds of people, dogs, loud sounds, or strange smells. Don’t expect to socialize overnight – take it slowly. Don’t take the dog on a new adventure every day. A couple of “field trips” weekly is better than constant exposure to new experiences. Let the puppy’s brain process the new information before moving on to something else. Don’t expect the puppy to accompany you on a long day of errands. Keep outings short. Don’t stop socializing once the dog is six months old. There is always something new to experience. Don’t plan a long vacation with your puppy until you feel he is ready. Plan to socialize your puppy well in advance. I recommend reading a book or two about puppy socialization and training before you bring your new dog home. Here are a couple of my favorites. Click on the images for more information and the best purchase price! Dr. Yin tells the story of how she trained her father's dog through hundreds of photos and easy methods that you can use too. Not only does the author talk about how to socialize your puppy, but also training life skills and basic commands are covered. This is an excellent book for first time and experienced dog owners. This is a great addition to any dog owner's library, but especially for those interested in clicker training. It covers much more than puppy socialization and provides information on problem solving for dogs throughout their life span. At 200 pages, it is a quick read, but one you will refer back to time and time again. The Puppy Primer 2nd Ed. Dr. McConnell makes puppy training easy through step by step approaches to all the basic commands. But, I also like this book because she spends time showing you how and why you need to socialize your puppy. At only 117 pages, you can read it in one setting and then go back and practice, practice, practice.